This week, during all of my morning and evening prayers, I couldn’t seem to stop thinking about my friend Father Jim Blaney. 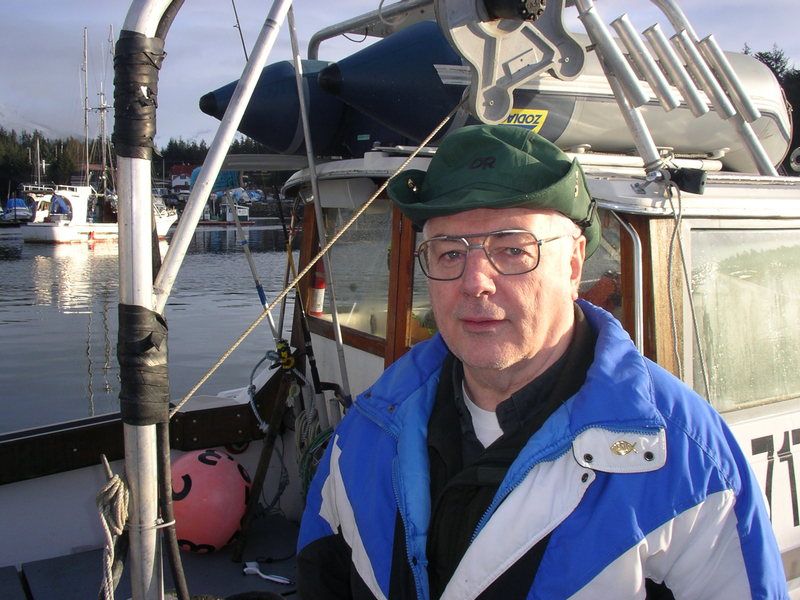 After hearing of his sudden illness during the Synod, I traveled to Sitka to visit with him. It was a blessing to sit with him, to talk about friends and shared experiences, and to pray together before heading back the next morning to Haines. Today, hearing the scriptures for this first Sunday of Advent, from Isaiah, St. Paul and the Gospel of St. Matthew that we are to be awake, that we are to prepare for the Kingdom of God by living every day in a way that shows we are ready to meet our Lord, I couldn’t help but think of him more. 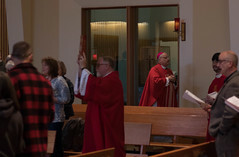 I proclaimed the Gospel and gave the homily about not letting the Gospel fade into the background, but putting it at the forefront, and trying our best to live accordingly. I talked about how we have models in our lives of persons who have shown us that this can be done. One of the most significant ones for me is Fr. Jim. The Jesus I know was a man of the people. He subtly and not so subtly ingratiated himself with people as though they were his relatives, his family. Father Jim is like that. Like Jesus talking with Zaccheus, he would say, “Hey, I’m coming to your house tonight.” It is never in an imposing way, but in the way of a brother or friend. Truly a man of God and of his people, Father Jim’s first objective always seems to be meeting people wherever they are and being accepted as one of them. He does this by taking time with them, by being their friend, by getting to know how they live and what they are dealing with. He does this in a nonjudgmental way. He is full of compassion. He believes that God is definitely in charge, but it’s up to us (and him) to show God to others. He has become my mentor and dear friend. I’ve met many others who’ve had experiences similar to my own when describing life with Father Jim. He loves Alaska and says it was always his goal to come here, and to stay here. His enthusiasm for God’s creation, especially here in Alaska, is infectious. How many strangers have become friends with Father Jim because they met him on the ferry or some other trip or adventure. He is actively involved in scouting, and loves to camp, backpack, bike ride or do pretty much any other outdoor activity. He is and has been the chaplain of the Coast Guard auxiliary and various fire departments, while also an active member. Many have told me about the bike, backpacking, camping and other trips they’ve been on with Father Jim, and how special it was because he brought Jesus with him wherever he went. I recall an amazing Mass on a remote beach on Sumez Island, the site where the first known Mass in Alaska was celebrated. After a day boating to the site, then camping overnight with a large contingent of the Prince of Wales Catholic community, he celebrated Mass with all of us on a beautiful morning just above the tide line on the beach. Right in the middle of the Mass, two giant leviathans (humpback whales) breached just off shore from us. All of us gasped, including Father Jim. At another Mass late one evening on the shore of a lake in the Yukon wilderness, in his tent with then Bishop Warfel and others, two Loons began to croon as if they were also participating in this most holy action with us. I could go on. Father Jim is also a well-known character, who makes an impression on people. An acquaintance from Skagway once told me he unexpectedly met the actor and comedian Robin Williams. He actually ended up in a conversation with him and when he told Mr. Williams where he was from, Mr. Williams talked about having made a movie there, and then proceeded to talk about people he met, including Father Jim, then launching into a hilarious imitation of Father Jim’s unique and loving mannerisms. On a more serious note, one day, in the process of checking phone messages at the rectory while Father was away, there was an arbitrary message from a woman who said that she knew him 30 years before when she was going through serious discernment for religious life. She had ultimately decided to live a vocation of marriage, but said that she still remembered his compassionate listening and guidance, and after all these years wanted to let him know how much that meant to her. She said he was certainly a man of God and had undoubtedly brought the love of Christ to many since then. She was right. 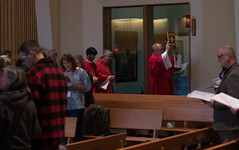 St. Gregory parish in Sitka welcomed Fr. 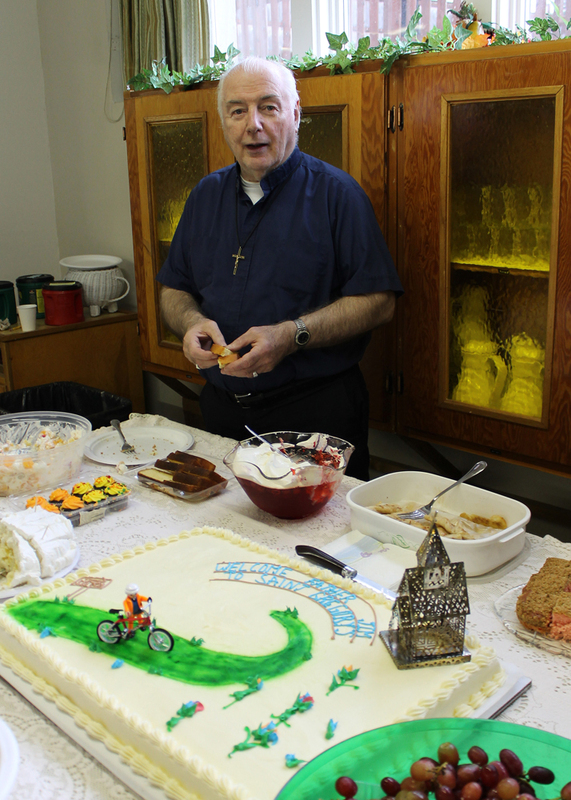 Jim in February of 2012 with a custom cake of a bicyclist on the path to Church. Father Jim humbly listens, befriends, guides and loves in the way of Christ. Father Jim is the person who asked me to consider becoming a Deacon. He somehow knew I wanted to grow seriously in my faith, and he provided solid spiritual support and encouragement throughout the process. He is the example I needed in order to see myself in ministry. He is a man of God, and a man of God’s people. He gets to know people without any reservations or judgment, and treats people the way I think Jesus would. While visiting Father Jim this week, I was there when his Doctor came in and gave him the final diagnosis. Father Jim hardly blinked. He said the same thing I’ve heard him say so many times before. With his “Southie” accent, he drawled, “Well….. when God taps you on the shoulder, you gotta go!” Father Jim is ready for “whatever” God throws his way. To me he is an amazing and precious example of what St. Paul and Jesus were telling me today. No thief in the night for Father Jim. He put on the armor of light long ago. God bless you Father Jim….and thank you for blessing us.